Shop: Contact us - each piece is a one of a kind - we need to check inventory on what you would like. 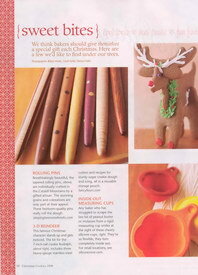 It was exciting to have had a sampling of our rolling pins and cutting boards featured in the "Great Gift Ideas" section of "Paula Deen's Holiday Baking" 2009 Special Collector's Issue. 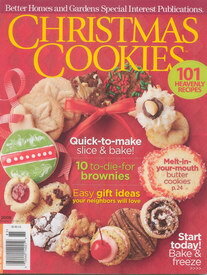 Did you see Les's oval pizza peel, made by special request, for "DEENBROS Good Cooking Magazine, Bar-B-Que 2010" ? Les Witherel's Sleeping Bear Woodworks is located on a quiet hilltop in the foothills of New York State's Catskill Mountains. Les's specialty is individually handmade, one of a kind, heirloom quality hardwood cutting/serving boards, trays and tapered rolling pins. He also makes hand-turned, natural bark, ash and birch "nut bowls", decorative birdhouses, turned ornaments and ring holders. All of our pieces are made and signed by Les, a talented, but sometimes grumpy, lifelong woodworker. When selecting our raw wood, Les searches for the most unique color, rare grain pattern and exquisite figure that nature can produce. Each board and rolling pin is meticulously sanded to a satin smooth finish, then is hand oiled, and when dry, is rubbed with a specially formulated beeswax finish using beeswax from our own apiary. Les's creations are truly utilitarian art for your kitchen and home. They are a "gift for a lifetime".